I have yet to “win” Beholder in the traditional sense. I’ve done several playthroughs now, sometimes starting from the very beginning, sometimes loading partway through, and I’ve gotten several different endings, but none of them ended particularly well for Carl Shtein – in order, he’s been arrested for embezzlement, shot, arrested for negligence, stabbed, arrested a couple more times, and been beaten by the police. It’s a dangerous world Carl lives in, one which might have a happy ending of any kind, but fortunately for you and me it makes for some damn fine entertainment. I had to tear myself away from the game to write this review, and as soon as I’m done explaining to you why you should get it I intend to go right back to it. As Carl, the state-appointed manager of a building with six apartments, your job is to spy on the activities of your residents and report them to the government while keeping your family as happy and well-fed as possible in an unnamed USSR stand-in. 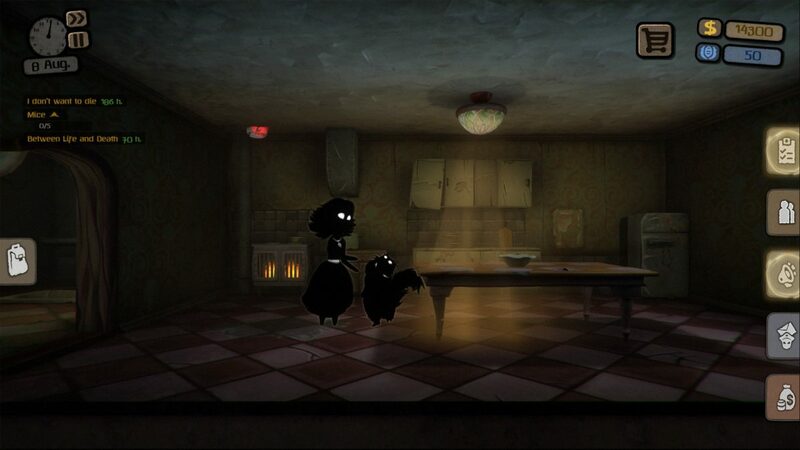 The graphics are presented through a style that looks like it was painted by hand, with you and all your tenants appearing as black-and-white silhouettes suggestive of their personalities. It’s a lovely game to look at, reminiscent at times of Playdead’s work but undeniably its own unique thing, and it’s all complemented by a fantastic soundtrack. The presentation is key here, since the game’s story is nothing particularly impressive. The store page boasts of “a philosophical narrative”, but at this point it’s nothing you haven’t seen before, especially if you played 2013’s Papers, Please, which in my opinion much more effectively conveyed the desperation of life in a totalitarian regime. True, in Beholder you can actually talk to your family and learn their names, as well as learn the backstories of all of your tenants, but they’re all fairly one-dimensional. Your wife is a nag, your son and daughter bog-standard archetypes you’ve seen before, and it’s hard to care about anyone in the game for reasons beyond the dictations of the gameplay. As for the “philosophy”, the game’s message doesn’t get much farther than “Soviet Russia wasn’t a very nice place to live.” Hardly a controversial opinion, and one we’ve seen before in a handful of games and a great number of films, books, and TV shows. Beholder even makes sure to remind you frequently that it takes place in the year 1984, for goodness’ sake. What’s more, if there’s a way to truly choose to be the bad guy and never get involved with any illegal activities of any kind, I haven’t found it. There are individual occasions where you can choose whether or not to help the resistance, or whether or not to do something particularly cruel at the state’s demand, but to proceed through the story it seems you have to do a mixture of both, somewhat deflating the feeling that your choices matter. None of this, however, detracts from how fun the gameplay is. Just because a lot of the choices may not have much weight from an emotional perspective (for example, in every run I’ve done I’ve chosen to let my daughter die because paying $1,000 for the funeral is cheaper than paying $30,000 for her cure) doesn’t mean they don’t have an enormous impact on the game. Playing from the beginning for the second time, I was surprised at how much difference even changing something small could make. Even though you’ll encounter the same tenants and the same basic events every time you play, Beholder is endlessly replayable, and I already have a list of decisions I’d like to do differently next time. It’s even fun to do things you know are obviously wrong (like calling in a police raid on one of your own children), just to see what happens. At its core, Beholder is a game of resource management. You have money and respect and not a lot of either, and you have to decide how best to use them to make more of both. Your wife will respect you more if you buy her a radio, but that $3,000 might be better spent buying whiskey for one of your tenants so that he’ll give you something you need for another quest. 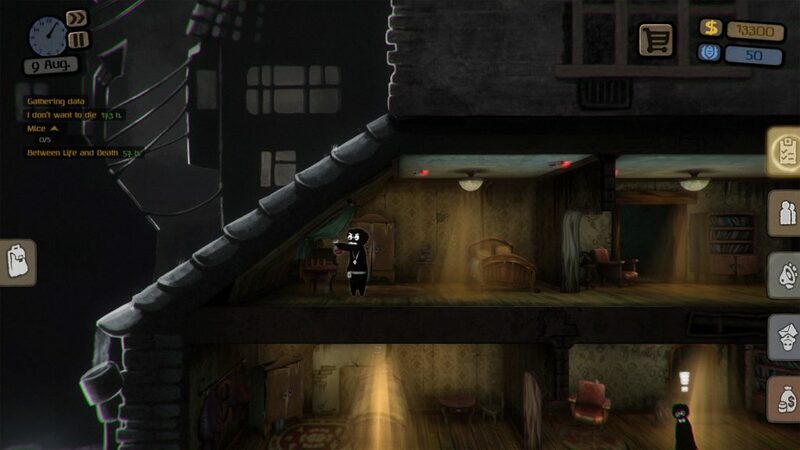 The gameplay is often reminiscent of traditional point-and-click adventure games in that what seems like a simple task (evict Mr. Shrimmer) will become a long and complicated train of helping different tenants with their problems (Mr. Shrimmer will only leave if he has cruise tickets, which the doctor next door has but wants to use for his honeymoon, so you have to talk to his wife and figure out how to break them up, et cetera). There’s multiple ways to achieve almost all of your goals, and it’s unlikely that you’ll succeed at all of them, whether because of a lack of money or a lack of time (most of the missions have timers.) Beyond just solving the puzzles, a big part of the game is figuring out how to prioritize them, deciding which you need to deal with immediately and which you can afford to let fall by the wayside. Sometimes failing a mission isn’t such a bad thing, either. For example, there was a rich tenant who I was supposed to convince to invest in a specific company, but I didn’t have enough respect to persuade him to do so. So instead, I told him to invest in foreign currency, something which the government had declared illegal. Technically, I failed the mission, but later on I searched his room, found the foreign money, and got paid for reporting him to the police. So I still got paid for the job, but in a completely roundabout way, and I adore that Beholder encourages thinking outside the box like that. Beholder isn’t a perfect game – beyond its mediocre story, it also suffers from a handful of technical issues including long load times and a great many typos. 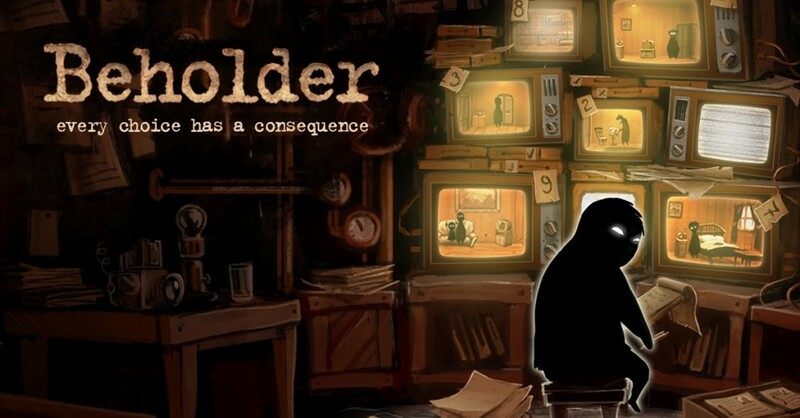 But a game doesn’t have to be perfect to be worth your time, and if you’re a fan of strategy games Beholder‘s dark atmosphere, stylish presentation, and impressive level of player choice is sure to please. That’s, what, a thousand words? That’s enough, right? Can I get back to playing now? Full Disclosure: This review was based on a PC review copy of Beholder provided by the publisher.